Yesterday I presented a case study on assisting a mom in creating a chart for a science fair. 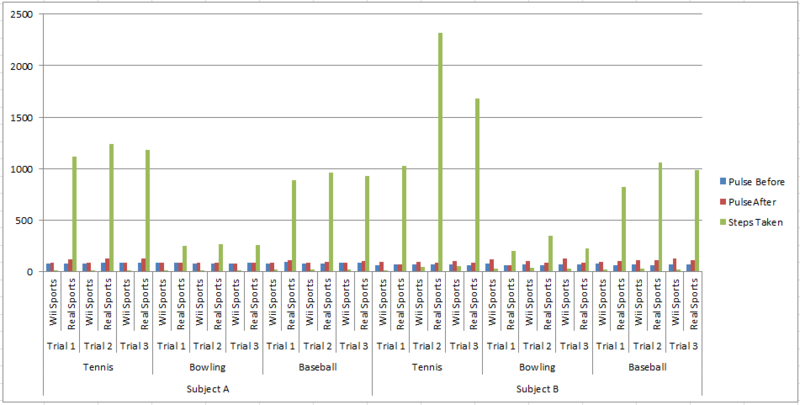 Looking at the data, it appears that there are several groupings or comparisons that need to be made. 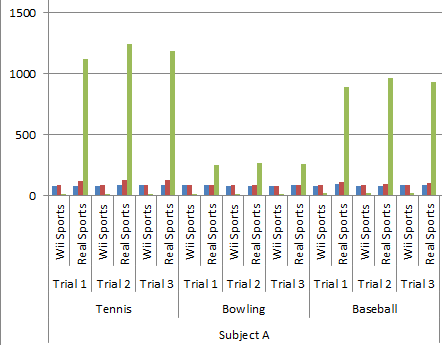 We need to group the Data for the 3 Trials (Wii Sports vs Real Sports) for each sport (Tennis, Bowling and Baseball) for each subject. 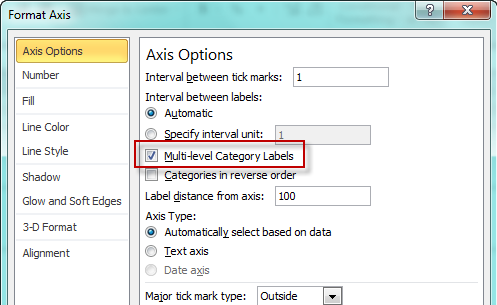 This sounds like a perfect solution for an Excel Multi-Level Category Labels. 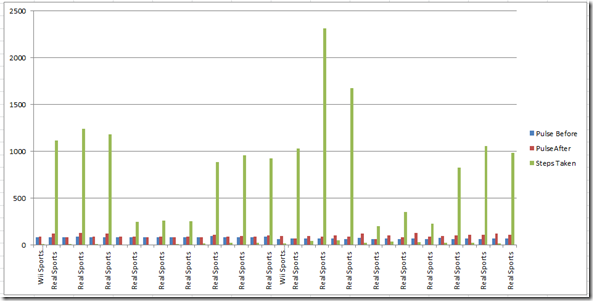 It is just the best, easiest way ever in Excel to create groupings in Excel Charts and Graphs. To do this, we first need to re-arrange the data. You may need to do this as well with the data you have for your Company Dashboard Charts. Now that we have the data rearranged, we just need to chart it. Now it is back to a normal column chart in that the Horizontal Category Axis Labels are only showing the first column next to your data. Not cool. So how it makes things so much easier to read? 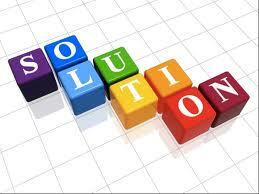 Back to our story, what did Mom think of my solution? OMG!!! I am in awe! You did it FOR me??? Silly me, I am so emotional over it. I have sat in front of the pc, searching and searching and searching. I actually found your website today, from here, and was going to try and copy some of the things on your website. I just can’t express enough appreciation. I have been an at home mom for 15 years, now going back to middle school for the 3rd time with my kids, 4th time for me in total. Now, how do I learn to do stuff like that so I can teach my kids? Did I say Thank you? Thank you!!!! Do you think you can use this technique in your next Executive Company Dashboard? 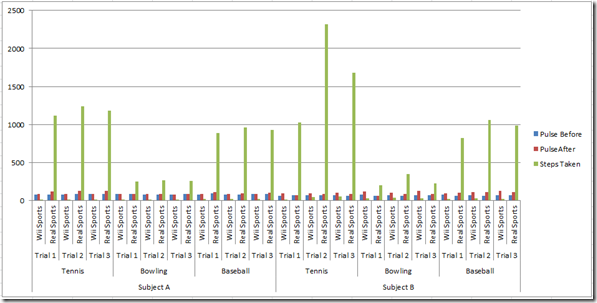 Hi, I would like to know whether the Multi-Level Category Labels are available for the Mac 2011 version of Excel. But I can’t get the Multi-level category option to show up; it just reverts provides the regular max/min/interval axis options. 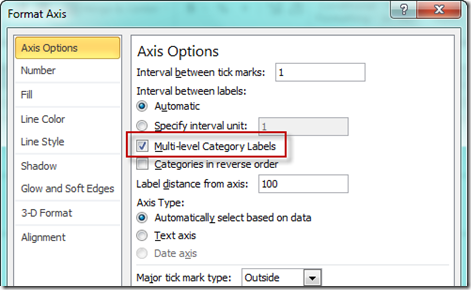 Do you know whether it’s possible to get Multi-Level category labels on Excel for Mac? How would I do that/How is it different? Thank you so much for your tutorials! They are so helpful. MacUser, thank you so much for the amazing comment. So glad my posts are helpful. 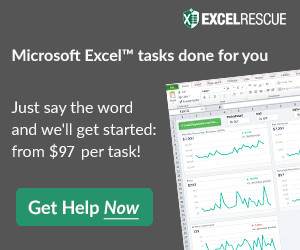 I would be surprised if this is not an option in Excel for the Mac. Sounds like your multilevel categories are actually numbers instead of text. Hi MacUser, check out this video and posting and let me know if it helps. This site has been really helpful so far! I have a follow up question. 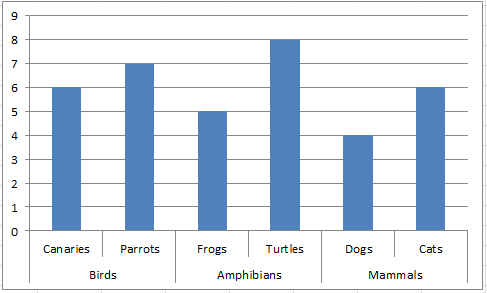 Could I create a secondary axis for one of the horizontal subcategories? 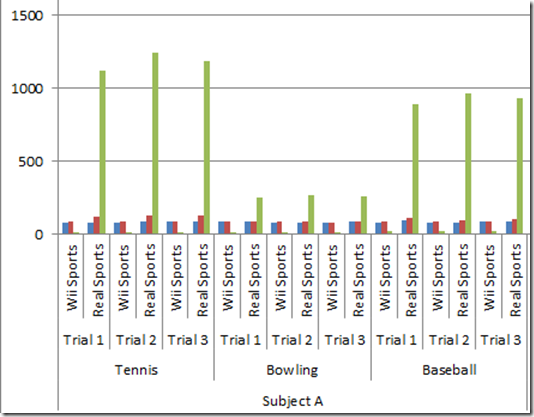 For example, from the case study above, can I put the “Steps Taken” category on the secondary axis. The Steps Taken values are on average much higher than the “Pulse” ones so the Pulse information isn’t that well represented on the vertical axis. In other words, the Steps Taken bar is huge compared to the Pulse ones so Pulse becomes less meaningful when it’s so small to see in the graph. Is there a way to put “Steps Taken” on the secondary axis and Pulse info on the Primary Axis so the Pulse units could be more granular? My issue: I have clustered two stacked columns for each month in the year – one column is dollar value of purchases and the other is the number of purchases. Stacking is for the purchase type (service vs product). The each purchase is very high dollar value while there aren’t that many total purchases in a given month so the dollar value bar is much bigger than the number bar. 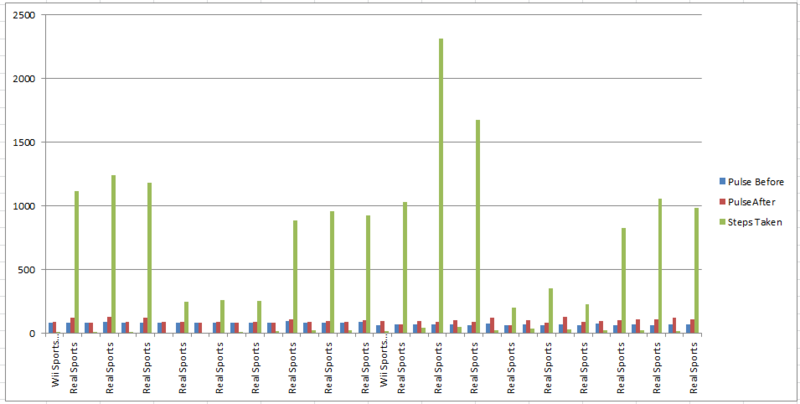 In fact the number bar barely shows up on the chart. Is there anyway to put dollar value on the primary axis and number of purchases on the secondary axis so the info can be displayed better?